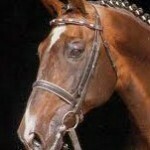 One of the most influential Thoroughbreds in Holsteiner horse breeding. 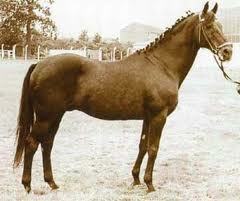 Born in England 1944 he already sired several successful offspring before coming to Germany in 1959. 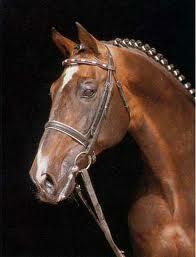 In Germany 14 of his stallion offspring has been licensed and all his offspring showed great canter and lots of scope. Interesting also that Cottage Sons pedigree links with his grand sire Son in Law to the other important Thoroughbred in Holsteins breeding history, the great Ladykiller (Thoroughbred by Sailing Light) where you can find the influence of Son in Law on the dam side. The biggest part in handing down Cottage Sons genes nowadays plays Capitol I and his offspring. 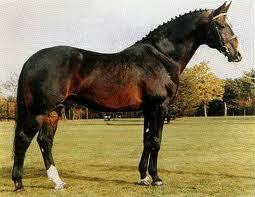 Another very influential part of modern horse breeding played Cottage Son as damsire. 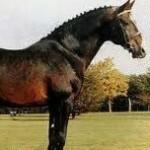 So important stallions like the great Ramiro (Holsteiner by Raimond-Ramzes x Cottage Son) and Lord (Holsteiner by Ladykiller x Cottage Son) have Cottage Son as their damsire.